The holidays are supposed to be a time to relax, gather with family and enjoy the season, but more often than not our holidays end up stressful, expensive and overwhelming. With cleaning your house from top to bottom, spending tons of money on groceries and spending hours and hours cooking enough food to feed an army, there’s little to no time left for you to sit back and actually enjoy spending time with your family. This is why you need to plan a Pigeon Forge Christmas! 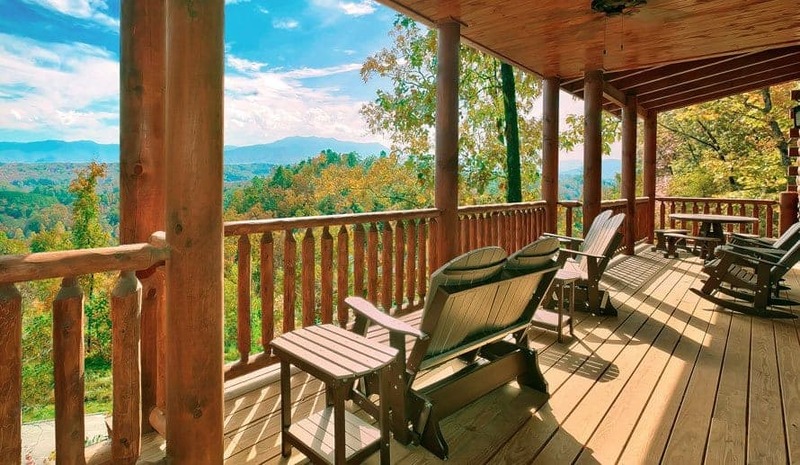 Forget cleaning because our Pigeon Forge cabins are beautifully decorated and spotless. Forget cooking for an army because there are tons of great Pigeon Forge restaurants to feed your hungry family. Taking time to relax and unwind will bring a whole new meaning to your holiday season! Another great reason to enjoy a Pigeon Forge Christmas with family is because Pigeon Forge has something fun for everyone in your group! From museums, aquariums and shopping to amusement parks and family friendly dinner shows, you’ll wish you had more time to experience it all! One place to go for a wonderful Christmas experience is Dollywood’s Smoky Mountain Christmas! Dollywood is a fun and festive amusement park that is tons of fun for everyone in the family, and this park becomes extra magical during the holiday season. From singers to parades to a festival of lights, Dollywood offers up an unforgettable Christmas experience! Believe it or not, by planning a Pigeon Forge Christmas, you’re likely to actually spend less money than you would if you stayed home! For one, you will be able to avoid spending tons of money on groceries by treating your family to a nice meal in Pigeon Forge. Also, instead of buying dozens of presents, treat your kids to fun on the town! They will love exploring the WonderWorks indoor amusement park, where they’ll get to play laser tag, conquer a ropes course and even watch a magic show! This will cut down on costs as well as not add to the clutter of their bedrooms! By inviting a few other family members to come stay with you in your Pigeon Forge cabin, you’ll also save a few bucks on lodging costs! Your extended family will love being invited along for the fun, and you’ll stretch your holiday budget even further. Everyone wins! Pigeon Forge during Christmas is a winter wonderland and a Christmas lovers dream come true! Pigeon Forge Winterfest covers the town in twinkling lights, puts on amazing parades and offers trolley rides for visitors to see all the best Christmas decorations around the city! There are also lots of great theater shows throughout the season to enjoy classic carols with a twangy twist. We promise you’ve never experienced Christmas quite like this! To make the most of your family’s Pigeon Forge Christmas, be sure to book a beautiful and cozy Pigeon Forge cabin. Our cabins are safe, convenient, affordable and so much more. Book your stay today!